Her motto is: ‘Think big, act small and accelerate fast and learn! Corina has held for the last 20 years senior management roles in the area of (Corporate) Venturing, New Business Development, Change Management, Strategy & Finance. 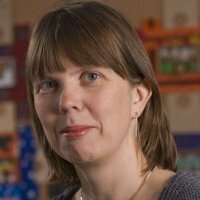 She is Adjunct Professor Innovation, Entrepreneurship & Venturing at the Antwerp Management School and a Senior Effectuator. She knows the language of the start-up as well as of the corporate.